So, this blogging thing could consume my entire life if I let it. There is so much to write about. There is so much to read about. At the end of mm076.1 just now, I ran off a litany of important topics. I decided to add value (?) by linking them to recent entries in the ‘sphere, as found just then in Technorati. Found a couple of very interesting sources that I only wish I had time to explore, and perhaps make part of my regular reading routine. But, god, where is there time? 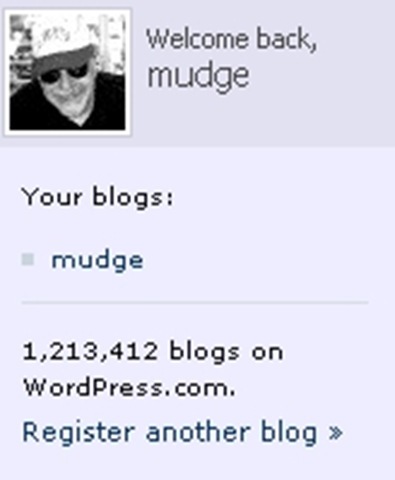 So many blogs! So little time! As I’ve said before, my writing would be more informed if I read more. But, where to start? How can I possibly keep up? And, if I could spend 24/7/52 reading, and maybe 2/6/52 writing, and 2,300 hours or so making a living, and that pesky eating and sleeping and spending time with my lovely wife, how does that compute? But, this is about process. Last week I popped for an upgrade to one of my favorite screen capture tools, SnagIt. I’ve used it for nine years professionally, and although like all software it has its moments (such as: why can’t I set a preference so it would always print in landscape mode? ), I wouldn’t be without it at HCA. So, after I plunked down my $19.95 upgrade charge for my home copy of SnagIt 8, to take advantage of their Firefox extension that required a more up-to-date version than I was running, as well as their plug-in offered for Windows Live Writer, I suddenly recalled another extension already running in my crowded Firefox add-on pile: Picnik. See, the way I use SnagIt is to capture the contents of the screen, open up a graphics program (a huge topic for another time, tyvm) to crop the part I want, resize it, add a border, etc. and convert it to JPEG. Now, consider Picnik: I right-click on the web page I’ve found, select “Send Page to Picnik,” select from Visible Page or Full Page, and a new tab opens at Picnik.com, where some great Flash functionality allows me to crop (usually what I do, and what I just did as I wrote this to grab the WordPress fragment shown above), perhaps add a border and save as a JPEG right in one seamless operation. And I’ve just scratched the surface of Picnik’s graphic capabilities. So, of course, it’s limited to web pages, and thus I’ll not be replacing SnagIt at work, where screen captures require a wider universe than that. But for blogging, it’s a beautiful piece of work. Well done, Picnik! And, the price is right: $0.00! Wouldn’t be without either one. I’ve raved previously about WLW, as has WordPress.com itself, saying that it’s used by more of its bloggers than any other tool. It has so simplified the task of preparing my posts, and the Blog This in Windows Live Writer Firefox extension is sweet. Blogging about blogging. Well, it’s interesting to me. The process always threatens to overwhelm content, for me. In fact, I had to discipline myself last night, waiting to create my new Web Conferencing Week logo (not bad for a left-handed amateur, tyvm) until after I wrote the damned first post. This entry was posted on Saturday, July 21st, 2007 at 6:21 am and is filed under Blogging, Blogging Process Hall of Fame, musings, The 'Sphere. You can follow any responses to this entry through the RSS 2.0 feed. You can leave a response, or trackback from your own site. Today lacrosse is considered to be one of the fastest growing sports in the US. like football or hockey, the team with the maximum goals wins.